One of the keys to running a successful Martial Arts School is the ability to consistently acquire new students. Every school has their own methods for doing this, and many student recruitment strategies work better for some schools than others. It’s important to keep your community in mind when reviewing this guide. In this guide, we’ll cover the basics for success in recruiting at outside events, so you can build a solid foundation for consistently gaining new students in your school. Did you know? 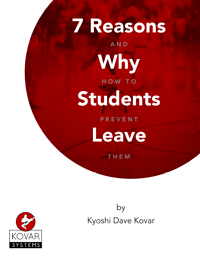 More often than not though, martial arts student quits are actually preventable. The first 100 days of a new student’s training are by far the most critical and should be given special attention. The key to continued success is offering the best classes possible by developing the best instructors possible. 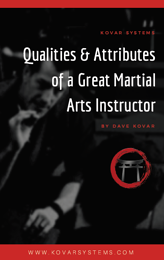 Looking for Resources to Grow Your Martial Arts School? 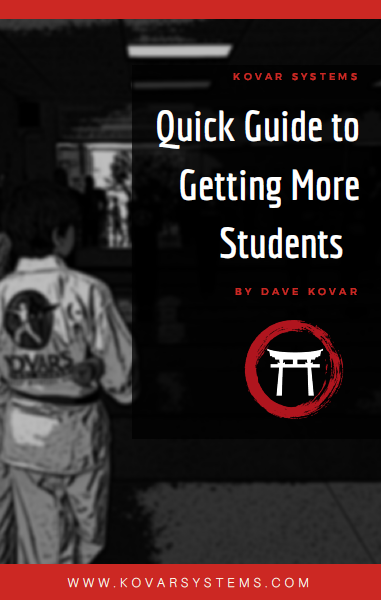 Kovar Systems provides integrity-based coaching and community resources to busy martial arts school owners that save you time and grow your business. Sign up to get started with your free guided tour of our products.